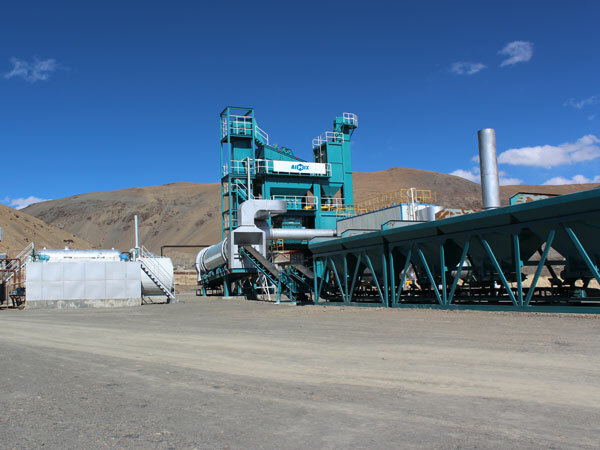 Worth mentioning, apart from the sizes and styles of asphalt plants, the asphalt batching plant price is also one of the important factors when one purchases asphalt plant. For customers, there is no doubt that choosing one with lower asphalt plant price is economical according to the construction requirements. There is a well-known saying that the asphalt batch mix plant price will always be adequate to the quality of the product. But is it possible for customers to have both? What’s more, our asphalt plant manufacturer has always strove hard to provide best products with lower asphalt mixing plant price. The innovation technologies and ideas have been applied to the new products, which can improve the popularity among customers. Our company promises that we can provide the most reasonable asphalt plant price. Here is an elaborate introduction of our equipment, including product types, features and price comparison. 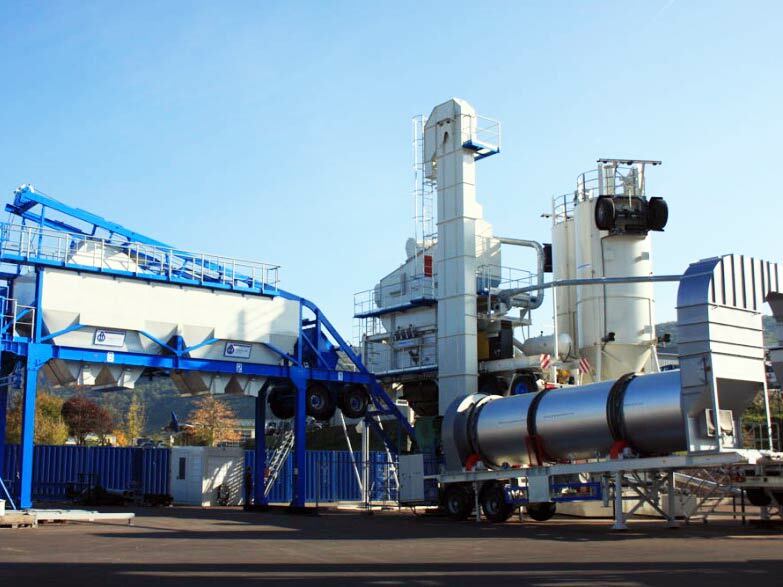 The YLB series asphalt mix plant is mobile asphalt mixing plant. The mobile asphalt mixing plant is more flexibility in construction, which can ensure continuous construction and speed the construction schedule. The offered QLB series asphalt plant belongs to stationary asphalt mixing plant, which has wide production capacity of 40tph to 320tph. The larger capacity makes its prices higher than other asphalt plants. With stable performance, the QLB series asphalt mixing plant is widely applicable to large construction sites, especially highways. With the rapid development of road construction, QLB series asphalt plants has been sold in more than 20 cities, which occupies a large domestic market. 1.The wider capacity range provides customers more choices. 2.The large mixing capacity can ensure stable working efficiency. 3.Optimized blades in the dryer drum can enhance the heat interchange. 4.PLC programmable electric control improves the degree of automation, which can greatly save labor, cost and time. The DHB series drum mix plant is famous as continuous asphalt mixing plant. 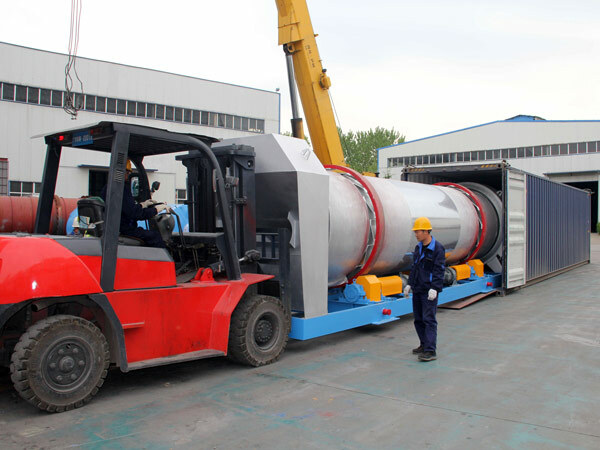 The drying and mixing processes are conducted in the same device, namely dryer mixing drum. The DHB series mixing plant has stationary type and mobile type. 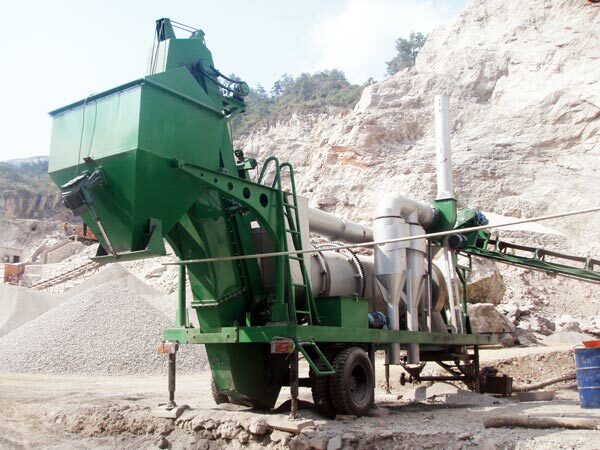 The mobile drum mix plant is equipped with wheels, which is popular among customers. The DHB series mobile drum mix asphalt plant is the most salable plant with lower investment. 1.The continuous production processes ensure enough mixed asphalt mixture for construction. 2.The drying and mixing processes are carried out in the drum simultaneously. The cold aggregate is heated in the inner drum. The hot aggregate, asphalt and filler drum are mixed in the periphery of inner drum. 3.The dryer drum removes cold aggregate moisture in downstream mode. The wind swirled from drum center can ensure high thermal efficiency and speed up heating. 4.The simplified process can reduce dust pollution effectively. 5.The transmission device is equipped with mute device and safety protection device. The safety protection can be transmitted quickly under emergency conditions. 1.20tph to 80tph production capacity is accessible to the mini asphalt mixing plants. 2.The lower price can reduce the customers’ cost. 3.The small occupancy and modular design makes the mini asphalt plant more flexible. Easy assembly and disassembly makes for converting construction sites. 4.The segmented vibrating screen is convenient to maintain, which is made up of high strength manganese with reinforced rim to prolong the service life. 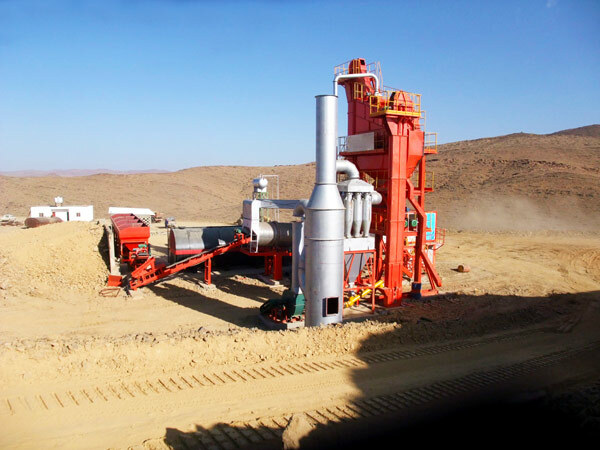 The portable asphalt mixing plant is a combination of mini asphalt plant and mobile asphalt mix plant. The capacity of 30~80tph makes it suitable for the small construction, the equipped chassis makes it move easily. Therefore, as far as characteristic is concerned, the price of portable asphalt mixing plant is a little higher than mini asphalt plant. 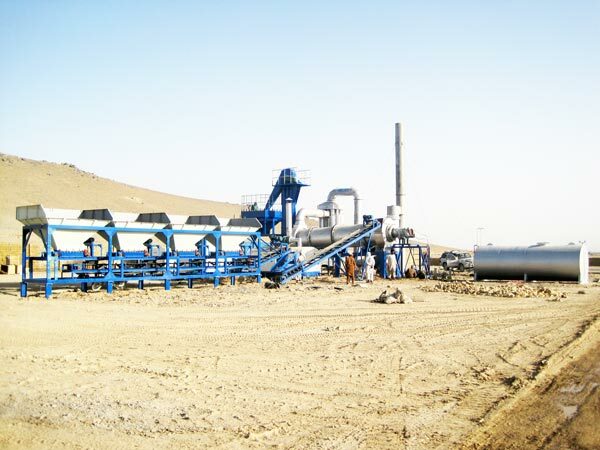 1.Each part of portable asphalt plant is connected closely, which can save much space. 2.The machine has detection and diagnosis function, which can warn failure in time and reduce maintenance cost. 3.The aggregate is weighed twice, which can assure accurate proportion in the asphalt mixture. 4.The reasonable weighing order of weighing system can prevent material unbalance loading. 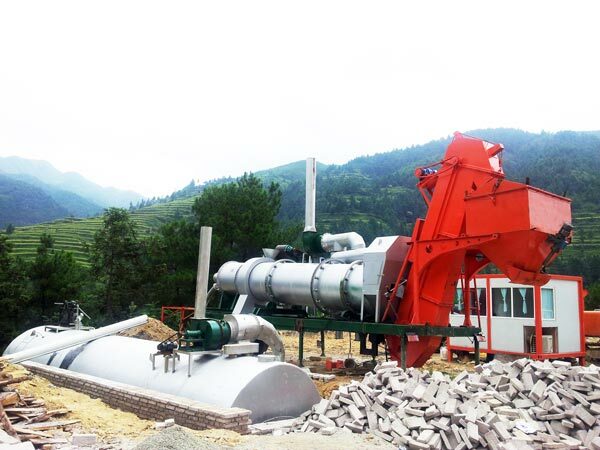 With on-going development of the asphalt mixing plant, our company has paid much attention on the innovation. We have cooperated with well-known manufactures and enterprises to explore new technology. Till now, our company has achieved CE certificate and passed the Quality Management System. In the competitive asphalt mixing plant industry, we can successfully open up market at home and abroad due to the praised reputation from clients. Our products have been salable in many countries all over the world, such as Burma, Ukraine, India, Malaysia and Brazil. Our company doesn’t compromise with the quality, because we have professional quality control team to supervise manufacturing process. We promise to offer the best products with the most comfortable service and cheaper asphalt mixing plant price.